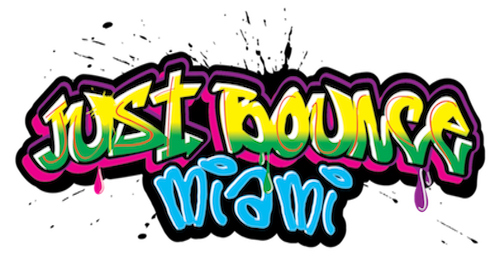 Welcome to Just Bounce Miami! Bounce House Rentals in Miami can be a little frustrating for the average Mom and Dad. With all the stories you see and hear it’s hard to know who to trust. Questions like will they arrive on time, or arrive at all immediately cross your mind. Doing a simple background check on Google will reveal a company’s history and we recommend you do this before making your final decision. 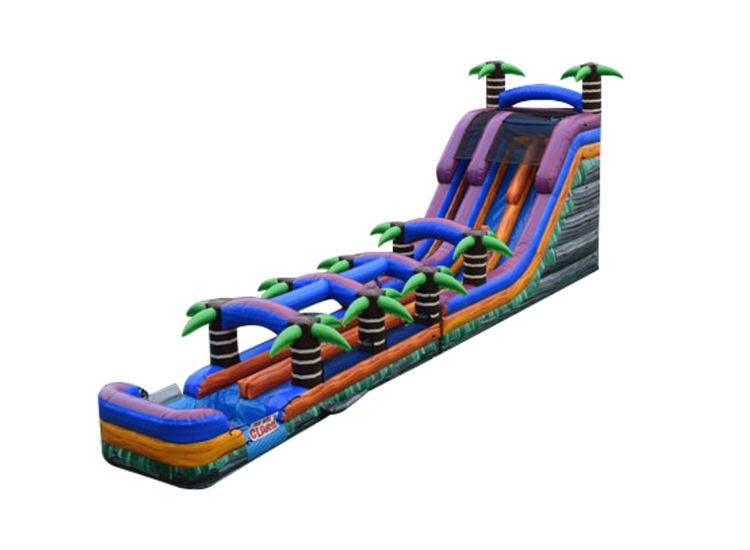 Just Bounce Miami is your most Reliable Source for Bounce House Rentals, Water Slide Rentals, Obstacle Course Rentals, Laser Tag Rentals, Interactive Games Rentals and much more. All rentals are for 6 hours. Generators are not included in the price of Inflatable rentals so if your event is at a park that does not provide electricity or your home cannot provide the electricity to power the inflatables you will need to provide or rent a generator. All rentals need to be picked up during daylight. All rentals that end after dark shall be picked up in the morning unless otherwise specified. Prices are shown on all items. To qualify for a discount or a “Package Deal” you must have more than two products added to your shopping cart with one of those items being an inflatable. The more products you add to your shopping cart the greater the discount. If you’d like a quote or to place an order add all desired items to your shopping cart by clicking the “Add to Cart” button, then fill out the information page and click send. We’ll respond within minutes with a quote/invoice which will include links right under the amount “Due” to read and sign your contract, apply a deposit and secure your reservation. Apples to Apples we will beat any advertised price. TO PLACE AN ORDER OR GET A QUOTE IT MUST BE REQUESTED THROUGH OUR SITE. JUST CLICK THE BLUE “ADD TO CART” BUTTONS ON THE DESIRED ITEM(S), FILL OUT THE INFORMATION FORM AND CLICK SEND. WE’LL REPLY WITHIN MINUTES WITH A QUOTE, INVOICE OR MESSAGE OF UNAVAILABILITY FOR THE DESIRED DATE. THIS PROCESS ALMOST ELIMINATES ERROR FROM BOTH PARTIES AND MAKES SURE YOUR EVENT GOES SMOOTHLY. Bounce House Rentals are America’s favorite event rental attraction and Just Bounce Miami has the best selection and highest quality Party Rentals in Miami. 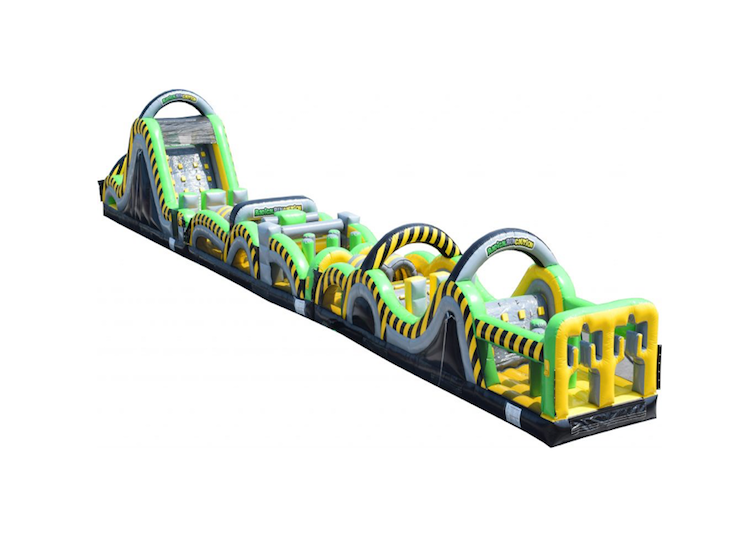 Get even more value with one of our Combo Bouncer rentals. Get additional fun features to add to the day’s activities. 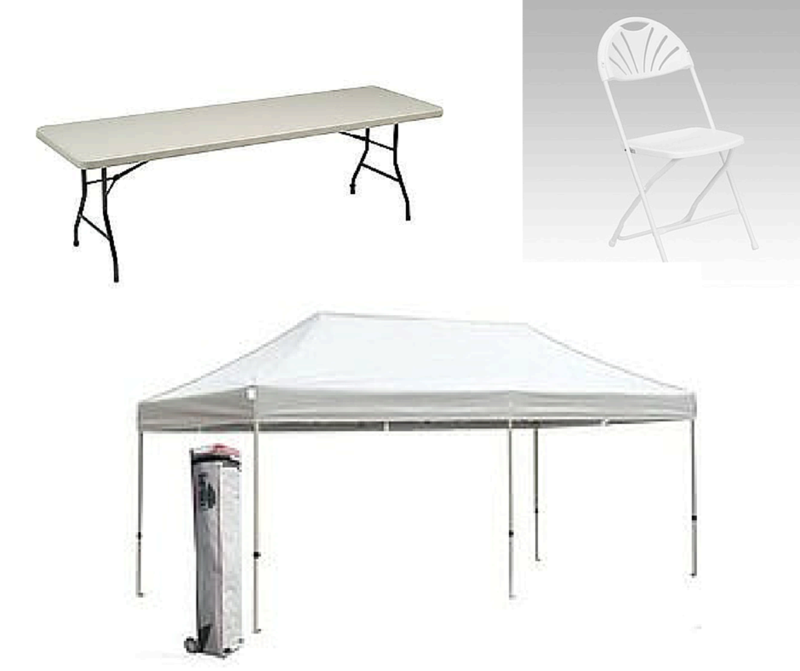 Expand your outdoor party space by renting one of our Easy-Setup Tents. They setup just about any where and make all the difference on a hot sunny Florida afternoon. Complete your event with our Table and Chair Rentals and make sure your guests stay comfortable. Our Water Slides are top of the line made with the best materials and craftsmanship to ensure safe play all day long. Once the pool is filled attach your hose to the Water Slide sprinkler system so cooling off in those hot summer days will seem like a breeze of cool air. Click for a selection of out of this World Games that you can play with your friends, your kids and your guests. Turn your backyard into the neighborhood Fair or your school event the talk of the PTA! 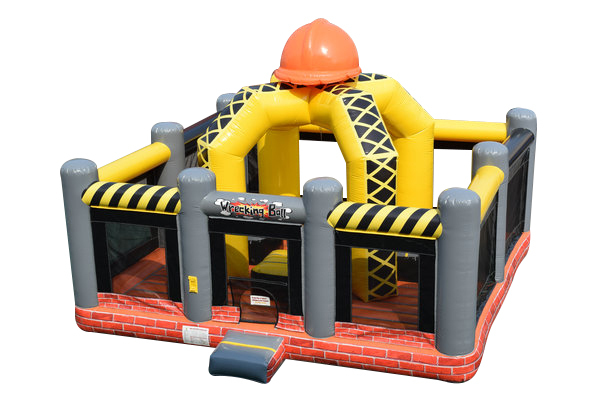 Bring your guests together in the spirit of fun friendly competition with one of our exciting Obstacle Course Rentals in Miami. 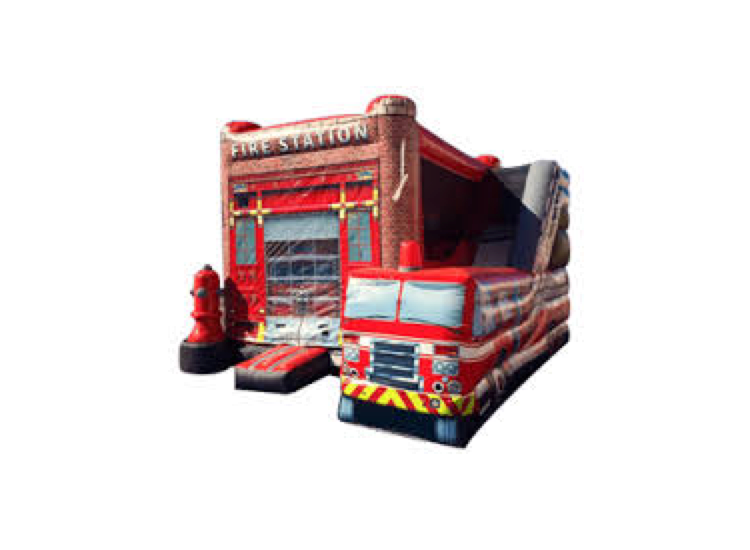 These large inflatables are a great attraction for school events, church groups, city events or even company picnic team building activities. If you’re in charge of planning a party or event, don’t forget to add “Fun Food Concessions”! This simple addition to your event can make all the difference in the world. 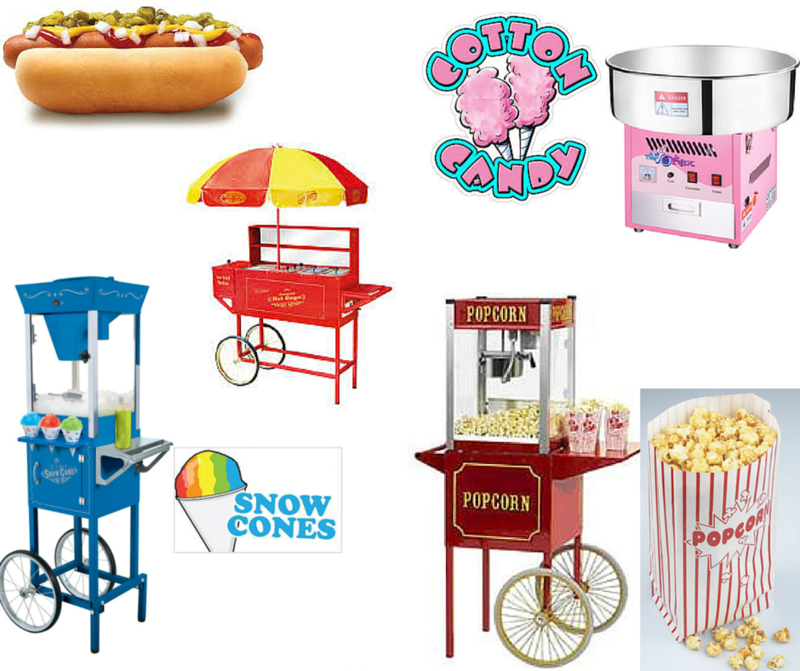 Fresh popcorn, cotton candy, and sno-kones, will have your guests lining up with smiles on their faces! 10 MILES FREE DELIVERY FROM ZIP CODE 33173 Take advantage of FREE delivery to these zip codes. 33133-33134-33143-33144-33145-33146-33155-33156-33157-33158-33173-33174-33175-33176-33177-33182-33183-33184-33186-33187-33189-33190-33193-33196. All zip codes outside this area will have additional travel fees. We deliver to Miami- South Miami- Miami Beach- Key Biscayne- Coral Gables- Pinecrest- Kendall- Kendall West- Kendale Lakes- Westchester- Coconut Grove- Palmetto Bay- Cutler Bay- and beyond in all areas. ADDITIONAL MILES PAST THE FREE 10 MILE MARKER WILL ADD $3 PER MILE. To get an estimate of how much travel fees will cost, Google search our zip code 33173, click on the map and click directions to your zip code. For example if you live in 33024 the distance between this zip codes and our zip code (33173) is 32 miles. Subtract the free 10 miles we offer and that leaves 22 miles. Multiply 22 by $3 on average and your travel fees are estimated at $66. TOLLS: THE RICKENBACKER CAUSEWAY THAT IS THE ONLY ACCESS TO VIRGINIA KEY BEACH, CRANDON PARK AND BISCAYNE BAY WILL ADD A SUBSTANTIAL AMOUNT. TOLLS TO CROSS FOR A VEHICLE WITH 3 AXLES IS $13.50 SO SINCE WE NEED TO CROSS TWICE(ONE TO SET UP AND ONCE TO PICK UP) THE ADDITIONAL FEE WILL BE $27.00(THIS IS ON TOP OF THE ADDITIONAL MILES).